Hirenkumar Shah, aged 37 years, is the Whole time Director of our Company. He has completed his first year Bachelor of Commerce from the University of Mumbai. He is also the Promoter of our Company and has been associated with us since May 02, 2014 and was appointed as a Whole-time Director on June 14, 2017. He has around 12 years of experience in the business and industry. He looks after the day-to-day operations and is responsible for setting forth the group strategy and vision. Prior to joining our Company, he was associated with in several start-up companies. 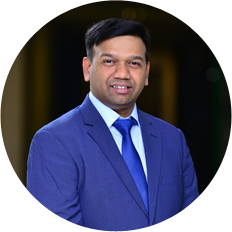 Ashish Shah, aged 36 years, is the Whole Time Director of our Company. He has completed his Bachelor of Commerce and Master of Commerce (Part-I) from the University of Mumbai. He is also the Promoter of our Company and has been associated with us since inception. He has around 12 years of experience in the business and industry. He is responsible for our Company’s overall business operations, as well as looks after the company’s product and business development. Rasiklal Shah, aged 73 years is an Additional Non-Executive Director of the Company. He is a matriculate. He joined our Board on September 25, 2017. Harshad Shah, aged 62 years is an Additional Non-Executive Director of the Company. He is under-matriculate. He has over 30 years of experience in the business of importing and exporting of ball and bearings. He joined our Board on June 14, 2017. 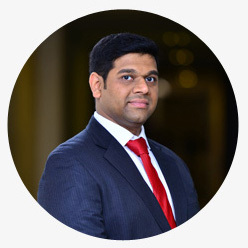 Harshal Patel , aged 29 years is an Independent Director of the Company. He is a member of the Institute of Chartered Accountants of India (ICAI). He has professional experience of over six years in the field of Corporate Law, Corporate Taxation and Corporate Financial Reporting. He is currently a proprietor of “Harshal Patel & Co”. He joined our Board on June 14, 2017. Nilam Doshi, aged 38 years is an Independent Director of the Company. She has completed her Bachelor of Commerce from the University of Mumbai. She joined our Board on June 14, 2017. 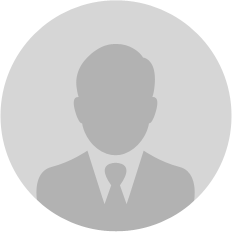 Rohit Vaghadia, aged 37 years is an Additional independent Director of the company. He has completed his Diploma in Interior Designing & Decoration from Maharashtra State Board of Technical Education. He joined our Board on September 25, 2017. Opp. Johnson & Johnson, Mulund (W) Mumbai – 400080. Nanakramguda, Hyderabad – 500 032. Are you our existing Shareholder?